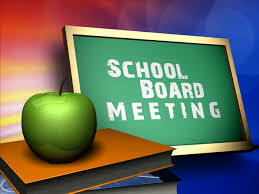 Apply to be a member of The Hawbridge School Board of Directors! The Hawbridge Board is responsible for the fiduciary health of the school, supervising the executive director, and maintaining the mission of the school. The Hawbridge School board member terms start in July of the year selected, and run for three years, ending in June of the third year. Be at least twenty-one (21) years of age. Cannot be a current employee of The Hawbridge School. Cannot be the spouse, domestic partner, or significant other of an employee of The Hawbridge School. A child may not have more than one parent on the Board at a time. The Hawbridge School is a tuition-free public charter school located in a restored mill on the banks of the Haw River in Saxapahaw and providing education with an emphasis on place-based education and the environment. The School currently serves 4-12 grades and will be expanding with an additional facility enabling students from K-12 grades. Interested in applying? Please completed the attached 2019 Board of Directors Application. The Hawbridge School community engages in a learning partnership. Students develop the skills, values, and strategies required to master the challenging curriculum and to pursue lifelong learning and personal growth. Relationships based on mutual respect honor individual learning preferences and create an environment that is intellectually, emotionally, and physically healthy. For 2018, The Hawbridge School Performance Score was a “B” (74). In 2017, The Hawbridge School earned an achievement score of 77, which is a B (70-84=B). 2016’s grade was 74. 2015‘s grade was 81. 2014‘s grade was 82. For the 2012-2013 school year, overall reading was 76.5% and overall math was 49.4% (at or above grade level). Click to view full report cards. Apply for current positions in art, music and science. © The Hawbridge School Powered by The Hawbridge School and Wordpress.